Unique 5 bedroom, 3.5 bath home on 10+/- wooded acres! 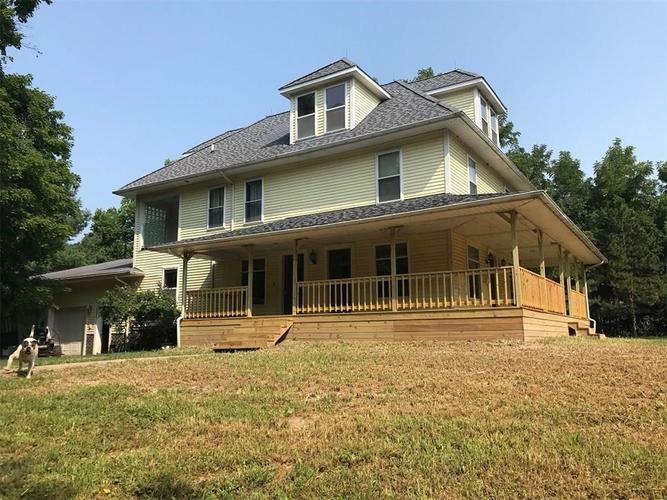 This home features a new wrap around porch, a brick fireplace with a built in pizza oven and a finished attic space that would be great for your dream game room/theater room! Directions:From State Road 136 head north on State Road 341, go through Mellott and head east on CR 300 N, go to CR 700 E and head north, home will be ahead on west side of the road.